Multifunction machine with engine with a displacement of 26 cm3. 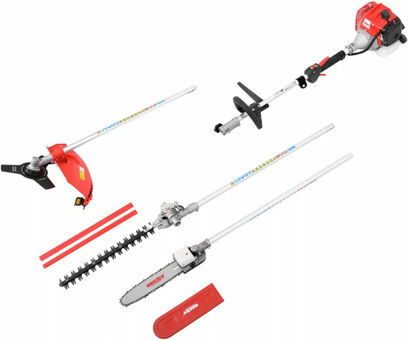 Can be converted to lawn cutter, hedge trimmer and prunning saw. Power of 1 HP.